All meals paid for if taken at families and Center, or during excursions. Dakar is a very safe, modern city with malls, beaches, markets, and a vibrant cultural scene. Senegal is a democratic country and has a tolerant, open society, with many Western expatriates. It is one of the major tourist destinations in Africa (about a million visitors a year). Cancellation Policy: in the event you decide not to go you forfeit your registration fees; in the event a travel warning was issued by the State Dept, program would automatically be canceled and the registration fees will be returned to you. 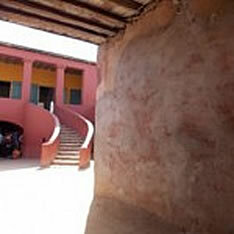 Goree Island, an important hub of the Atlantic Slave Trade, from the 16th to the 19th century, located two kilometers away from the mainland of Dakar. A tour guide will tell you about the living conditions of the slaves during the Slave Trade, and the different settlers of the Island. You will marvel at the story of the beautiful signares while watching current life on the island. In the holy city of Touba ,you will learn about the Mouride brotherhood by visiting the Great Mosque of Touba & the different tombs of past sheiks. You will also get to see the library dedicated to Serigne Touba’s work. 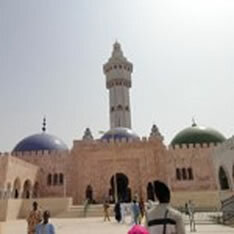 This visit should provide you with plenty cultural and religious information about Islam in Senegal and Sufism in particular. In Saint-Louis you will enjoy discovering the architectural heritage left by the French colonizers. You will also enjoy nature in various parks such as the Fauna reserve of Guembeul where you may observe some indigenous or endangered species. Saint-Louis food is reputed to be delicious. The whole island has a slight touch of New Orleans. You will be an a hour and half from Dakar, by the ocean and by a traditional fisherman village, get a chance to really relax and enjoy the beautiful Senegalese beach. You will also get a chance to take dance , drumming or tie-die lessons. 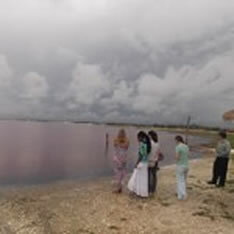 Pink lake: if you are lucky you will see the lake pink However if not you can always compensate by riding camels or taking a ride on the magnificent sand dunes . Senegal LBAT was wonderful. Living with a family, being in that neighborhood and seeing how people in Dakar actually live is life changing. I loved every part of this trip. It is completely different from any other program that is offered at Georgia Tech and you learn a lot about another country as well as yourself. 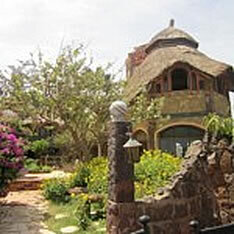 It is a fantastic program to learn about Senegal and a (for most) new culture. Dakar is safer than Atlanta. I really enjoyed the time I spent at my work/internship, the time I spent with my host family, and the time I spent exploring the city. These experiences really showed me how Dakar and Senegal relate to the rest of the world, and how important it is to invest in building them up. I have had no bad experiences. I would definitely recommend this program to other students, as it has been extremely educational and has significantly expanded my comfort zone. Buy Senegalese food […]. It is much cheaper, and there are very good local restaurants. Staying with a host family was very enriching and comforting. The families were excellent hosts, and enjoyed having us. The excursions of the trip were exciting and enlightening. Because I stayed in Dakar for 2 months [she had an internship] I feel I have a much better understanding of the country and its citizens. Overall, I have met many great and interesting people and I have learned a great deal. It was a great learning experience. Also, I felt like I had a lot of liberties/independence during my internship which I enjoyed. I would absolutely recommend this program. It is a great option as a foreign abroad experience that is truly once in a lifetime. It incorporated many interests for all our majors represented here. And it provided a necessary and introspective cultural immersion, that for me, has been truly beneficial and rewarding. For a PDF flyer with information on the Senegal program, please click here.